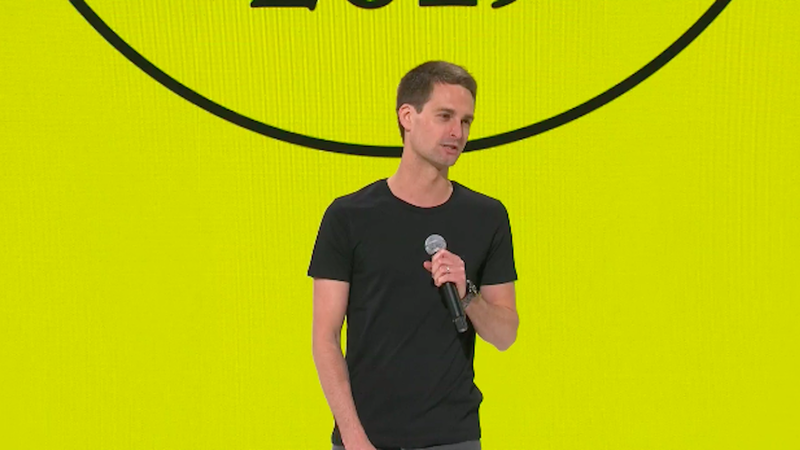 A slew of new updates, features and services unveiled by Snap Inc. Thursday capture the Santa Monica-based "camera company" in mid-evolution — from a chat platform to a broker of value-added services modeled on China's tech giants. Why it matters: Snap has faced investor skepticism that its media model of youth-oriented ephemeral photo and video sharing can support an ad business on the scale of Google's or Facebook's, Sara Fischer reports. The announcements at the first-ever Snapchat Partner Summit show that Snap intends to keep growing its ad revenue while building revenue-generating services that users can access across apps to increase engagement with Snap's products. The details: Snap announced it will launch the Snap Audience Network, which will allow other companies to run "Snap ads" inside their own apps. Snap will allow advertisers to sell ads through its technology, while keeping a cut of the ad revenue. This is a big deal because it would enable Snap to dramatically expand its ad revenue to compete with the likes of Google and Facebook, which have their own ad networks. Yes, but: It's not set to launch for several months, and details of the ad targeting's workings were scant, as Recode's Kurt Wagner notes. Snap also announced major updates for developers and its camera, and rolled out a new gaming platform as well as a slate of original shows. A brand new gaming platform called "Snap Games" will allow users to play real-time, multiplayer games with their friends. Be smart: Tencent, one of China's biggest gaming companies, purchased a 10% stake in the company in 2017, which sources say have helped guide Snapchat's foray into gaming. The big picture: The event comes just days after Apple announced a suite of new software services, including a new gaming platform, and after Google unveiled its new cloud gaming service, Stadia. The bottom line: Tech giants are rushing to create better software to increase user engagement with their software and to make money off of things like payments, advertising and storage. Google has pulled the plug on an outside advisory group that was intended to guide AI work following a series of controversies, the company confirmed on Thursday. Why it matters: Google, like Microsoft, had been looking for outside input to help shape its AI efforts. However, Google's panel drew almost immediate outcry for, among other things, including the president of the Heritage Foundation. Google: "It’s become clear that in the current environment, (the panel) can’t function as we wanted," Google said in a statement. "So we’re ending the council and going back to the drawing board. We’ll continue to be responsible in our work on the important issues that AI raises, and will find different ways of getting outside opinions on these topics." Petition organizers: "So many people (over 2300 Googlers & over 300 supporters from industry, academia and civil society) answered the call to #StandAgainstTransphobia," the petition's organizers said on Twitter. "We thank you for your support & unwillingness to compromise on hate." A source had earlier told Axios that Google planned to hold firm and keep Coles, citing a desire to hear from a range of voices and draw on Coles' free market perspective. Sprint CEO Michel Combes and and T-Mobile CTO Neville Ray have a message for Washington: If you want to beat China in the 5G race, you'd better approve our merger. Why it matters: As Kim Hart reports, the $26 billion deal that would combine the 3rd and 4th largest U.S. wireless carriers and has been waiting on federal approval for nearly a year. The companies seized on the fretting over China's threat to make the following case to regulators: Sure, you'll lose one wireless competitor in the U.S., but you'll gain a stronger global competitor that can help the nation stay ahead of its 5G nemesis. "The race has barely begun. There's going to be an intense phase of running this race and investment in these networks. You've heard about the resources needed to do that. We're up against formidable competition. The Chinese machine has incredible momentum," Ray said in D.C. on Thursday. Sprint has a boatload of mid-band spectrum that complements T-Mobile's low-band and millimeter wave spectrum — all of which are needed for 5G. Combining financial resources would allow the companies to build faster, Ray said. "It's not '1+1=2,'" he said. "It's 1+1=4." On Thursday, T-Mobile CEO John Legere pledged to add at least 11,000 more jobs by 2024. NEC Director Larry Kudlow also reiterated the Trump administration's support for a market-based approach to deploying 5G. Reality check: Verizon and AT&T are moving full-speed ahead on their own 5G deployments, and Verizon flipped the switch on commercial 5G service in Minneapolis and Chicago this week. "We have all we need to compete against China," Verizon President Ronan Dunne told Axios when asked about his competitors' pitch. "That's not to say we should be complacent, but I don't see any evidence to say we are hamstrung in our ambitions to lead not just in the U.S. but to lead the world." Cisco's Talos research team announced Friday it had discovered 74 Facebook groups where hackers bought and sold cybercrime tools and services. The groups networked together as many as 385,000 members speaking a bevy of different languages, Joe Uchill reports. "Tampa — it was basically the size of Tampa," said Craig Willams, director of outreach for Talos. But the latest find demonstrates that moderating these groups is difficult. Many had the same or similar names to the groups discovered by Krebs, suggesting they had been restarted after Facebook took them down. The groups, each of which served as a flea market for a specific modality of cybercrime, benefitted from how good Facebook is at building communities, said Williams. Qualcomm President Cristiano Amon said Thursday that the company would be happy to consider working with Apple on its 5G plans if their reported struggles to bring a product to market continue, David McCabe reports. Why it matters: Qualcomm and Apple have been locked in a lengthy, acrimonious legal battle that includes patent, contract and antitrust complaints. The big picture: Apple is reportedly struggling with its effort to add 5G to next year's iPhones. Apple had used Qualcomm modem chips until 2017, when it started using a mix of Qualcomm and Intel before going all Intel with its 2018 lineup. What they’re saying: While Amon said that he “can’t really comment on what Apple is doing,” he also said that the longer any company waits to introduce a 5G product, the higher the bar will be for them to meet. NAB Show, the big broadcasters confab, starts this weekend in Las Vegas. Tim from Cupertino, you're on the air: Apple CEO Tim Cook called in to an ESPN show on Thursday to discuss his alma mater, Auburn, making it to the men's Final Four for the first time.